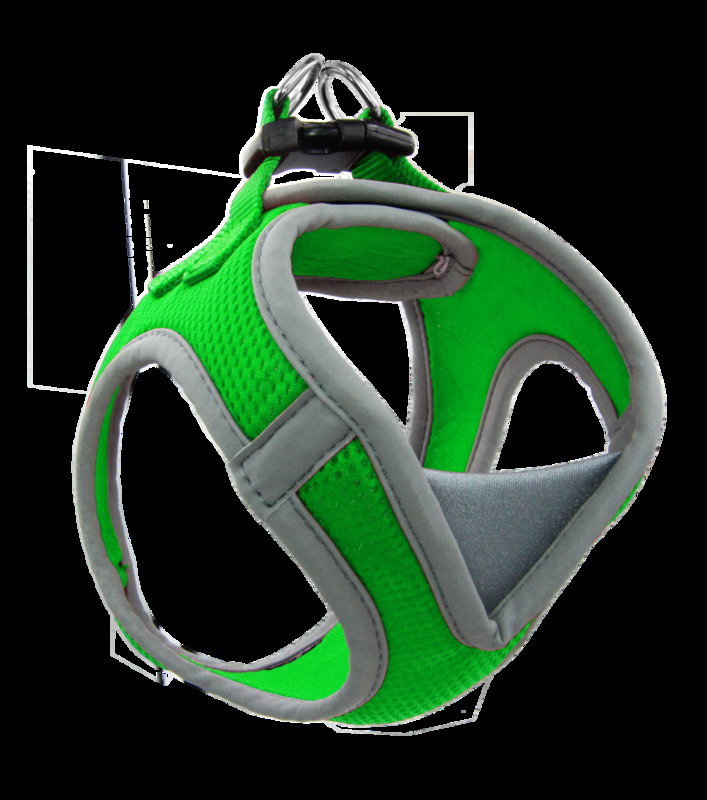 DOCO® Athletica QUICK FIT V Mesh Harness fray resistant 3mm thick high dense air mesh that provides ultra comfort on buddy’s neck and chest area. Less pressure around neck than classic collars for easier training and outdoor activities. Reflective piping throughout the entire vest harness for additional safety in darkness when walking the dog. Plastic buckle on the top that quickly clicks shut and stays put and ensure extra security. Designed with adjustable Velcro size adjustment strap for fast adjustment and customs fits for different girth sizes. Cross-stitched nylon straps for optimal tension distribution and protection against neck injuries. Specially designed V-Neck patch with elastic fabric eliminates pressure around neck. Heavy-duty stitching for lasting quality and two metal D-Rings for secure lead. Solid and vibrant colors are easy to see. Make sure to select the matching DOCO® breathable air mesh leashes to complete your buddies look! All of DOCO® harnesses are designed to reduce stress, allowing weight to be distributed evenly through the chest and shoulders when your buddy pulls walking. Vibrant colors are easy to see at any times!